Have You Been The Victim Of A Hit And Run Accident in California? Hit and Run Accident! These words are scary and tragic. However, these words are not uncommon for California accidents. A significant percentage of all accidents in California involve hit and run drivers, while many others involve uninsured or underinsured drivers. An example of a hit and run accident occurred on Thursday, February 12, 2015, in Phelan, California. In this hit and run accident, four people were seriously injured while damaging two vehicles beyond repair. The accident was so severe that two people had to be airlifted to trauma centers and two others transported to local hospital emergency rooms. According to the California Office of Traffic Safety, in 2012, there were 611 reported hit and run accidents in San Bernardino County and another 564 such accidents in Riverside County. Los Angeles County had a staggering 5,979 reported hit and run accidents in that same year. So what happens after a hit and run accident? 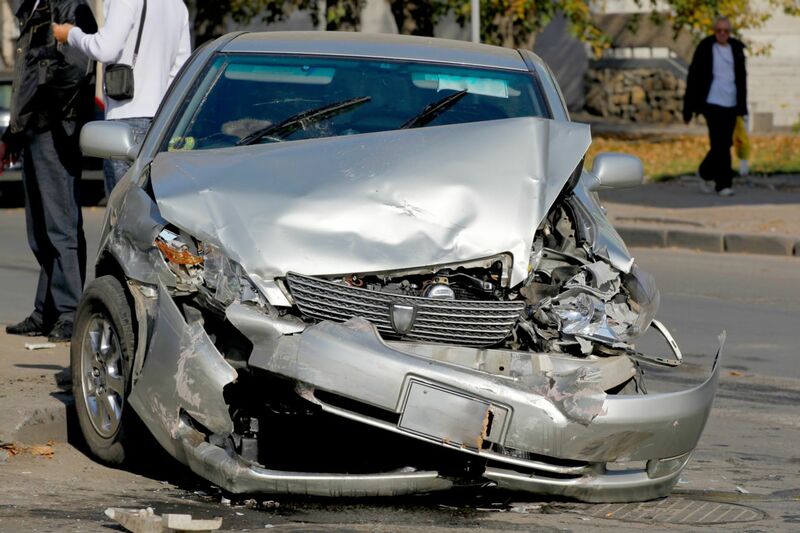 What are the rights of those injured by negligent drivers that flee the scene of an accident? 1. Sometimes following a hit and run accident in California, the driver is found. After finding the person who caused the accident, the injury victims can make a claim for damages against the driver, the owner of the vehicle, if the owner is different than the driver, the insurance company for the hit and run driver or for the owner of the vehicle if they are different. Additionally, a claim could be brought against any other person or entity for whom some liability may apply. For example, if the driver was in the course and scope of his or her employment, the employer may be held responsible for the accident of the employee. Making a claim against the insurance carrier for these individuals requires proof that the hit and run driver was negligent in causing the accident, that the accident caused harm or injury and the nature and extent of the injuries suffered. This is where a great personal injury lawyer is helpful in securing the best outcome for the victim of a hit and run accident. After a thorough investigation for insurance coverage, if there is no coverage, then one can turn to see if the responsible driver has substantial assets from which payment for the injuries could be obtained. Here is a fact, drivers who have substantial assets, generally have substantial insurance coverage. Most drivers who are uninsured, or underinsured, are that way because they do not have income to pay for the insurance and/or assets to protect from a judgment. In these situations, most personal injury lawyers would indicate that the chances of recovering anything from the at fault driver is nearly impossible. If this situation exists, where there is no chance of financial recovery, or there is no insurance available, then an injury victim, who has prepared him or herself by purchasing uninsured motorist coverage, may have somewhere to turn for help. In the event the hit and run driver is either not found, or is found but has no insurance or no real assets, then the only real option available to the injury victim is to turn to their own insurance coverage, if they had previously secured the proper insurance coverage. So what is the proper insurance to protect a person in a hit and run accident? There are two coverages which can provide protection. First, is a person’s standard health insurance and/or medical payments coverage which can be purchased with one’s car insurance. This insurance assists in paying for the basic medical care in treating the injuries suffered in the car accident. Unfortunately, this insurance may not be enough to cover all the health insurance deductibles or actual medical care required. Further, this insurance does not cover any loss of earnings, loss of future earnings, property damage, permanent injury, pain and suffering and mental distress. When an accident causes serious injuries, either by way of a hit and run driver, a driver with insufficient insurance or an uninsured motorist, an injured person can be left with massive losses and uncompensated injuries. The only insurance which can render aid and support for such an accident is uninsured motorist coverage, and/or an umbrella policy which provides uninsured motorist coverage. With the right amount of uninsured motorist insurance coverage, an injured person can draw upon that source of funds to pay for the damages and losses. When a car accident triggers the uninsured motorist coverage, that insurance coverage sits in nearly the same position as an insurance company for the other party. However, there is one difference, the insurance company for the injured party has a higher degree of responsibility to its insured to do provide the coverage and protection purchased by the insured. Even though these uninsured motorist funds are potentially available, the injury victim still has to prove the uninsured motorist was responsible for the accident, that the accident caused the injury and nature and extent of the losses, including the amount which should be paid for the injuries and losses. Once again, having an excellent personal injury lawyer fighting to prove the case against the trained insurance adjusters and their attorneys remains a must for a serious injury victim. All too often, and to the sad tragedy for many, all too many people forego buying uninsured motorist coverage. The excuses range from, "I didn’t know", "I thought I was fully covered," "I couldn’t afford it," to "I didn’t know the importance of it." Going without uninsured motorist coverage is a real mistake. This is the one insurance everyone should purchase. This is the one insurance coverage which, if purchased, protects the insured, his/her family and friends and all others who travel in that car. Here is a good rule of thumb. Buy as much uninsured motorist insurance coverage as the budget can afford. The higher the limits the lower the cost for every $1,000 of coverage. For example, a $15,000 policy might cost $500.00. But a $50,000 policy will cost $700.00. So one gets $35,000 more coverage for only $200 more. The incremental cost goes down as the insurance limits rise. Remember, If You Are The Victim of a Hit and Run Accident, ACT FAST. Do not delay in notifying authorities and your insurance company of the accident. Delays cause the loss of rights and the ability to fully recover from the accident. Each passing day makes it harder to get all the relevant information and establish the proper rights and responsibilities. If you have delayed, call a personal injury attorney now to see if there remains hope to secure compensation for the losses from a hit and run driver or an uninsured motorist. Don’t make any final decision without consulting a legal expert who can explore all your available options. Calling the Inland Empire Law Group is a good way to start to see what your rights are and to hire an excellent personal injury attorney to protect you, your family and your rights. Call now to start your road to recovery. (909) 481-0100.